As a result of gross abuse of judicial process in the case of Nnamdi Kanu, the leader of the Indigenous People Of Biafra, IPOB, since the 19th of October 2015 when he was granted bail at the Magistrate Court and an order for his release by the Federal High Court on 17th December 2015; Nnamdi Kanu's defence team had on May 2016 filed a suit against the Nigerian government at the Community Court of Justice, ECOWAS (Economic Community of West Africa), demanding for the rule of law in Kanu's case. The ECOWAS community court of Justice was created in 1991 and was effected on 5th November 1996. The body provides the ECOWAS Council with advisory opinions on legal issues and has jurisdiction to rule on fundamental human rights breaches. Following this suit against the Nigerian government by Nnamdi Kanu's defence team, the Nigerian government has mounted enormous pressure on ECOWAS to disregard the suit and dismiss the case which has deliberately been recycled from one judge to the other by the Nigerian government. In spite of these, ECOWAS has scheduled and is set to hear Kanu's case on 5th October 2016. With exhibits against the Nigerian government as provided by Kanu's defence team and by virtue of previous court orders for Kanu's release, IPOB family around the world is hopeful that Nnamdi Kanu will obtain a just verdict from this reputable court. The President of the Community Court of Justice, ECOWAS, Justice Jerome Traore, who is known for his transparency and accountability will not be leaving any stone unturned on 6th October 2016. He is aware that Nnamdi Kanu's case is one, which if not well handled, might set the entire coast of West Africa into chaos. 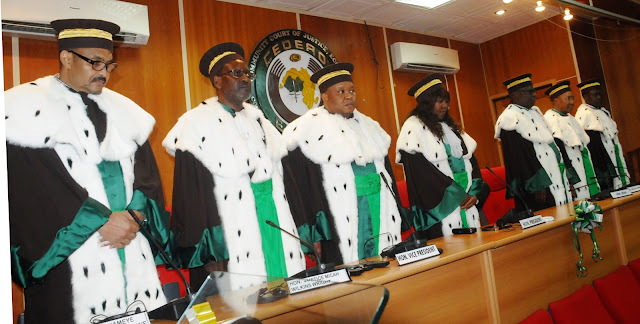 ECOWAS court under Justice Jerome Traore, has on several occasion condemned the Nigerian government's approach to resolving issues that has emanated especially since President Muhammadu Buhari assumed office on May 2015. He described the present Nigerian government as "nonchalant, insensitive and lacking political will." Recall that the present three-count charge of "treason, managing the affairs of an 'unlawful society' and illegal possession of items" filed by the Department of Security Services, DSS, against Nnamdi Kanu were all filed barely 24 hours Justice Adeniyi Ademola of the Federal High Court ordered for Kanu's unconditional release on 17th December 2015. To this end, Biafrans around the world entreat the Community Court Of Justice, ECOWAS, to uphold justice and forestall imminent crisis that is set to rock West Africa if Nnamdi Kanu's case is further prolonged.